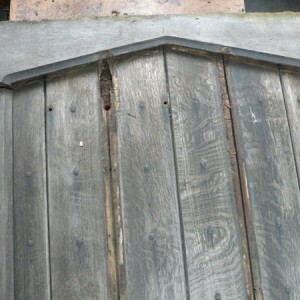 This was originally destined for the skip but the owner wanted us to save it if possible. 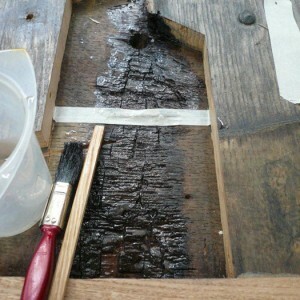 As you can see, we cut out all of the rot and consolidated the less friable areas with a low viscosity epoxy resin. 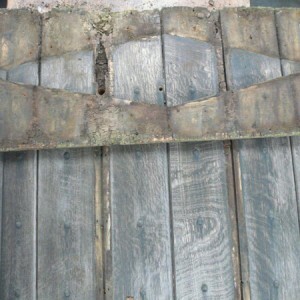 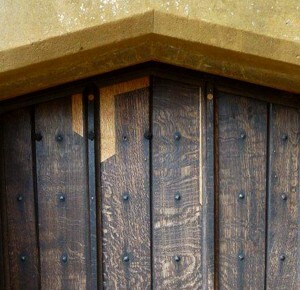 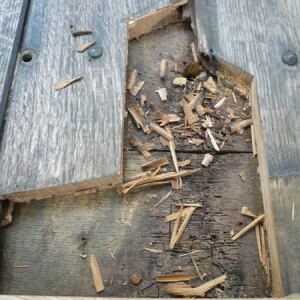 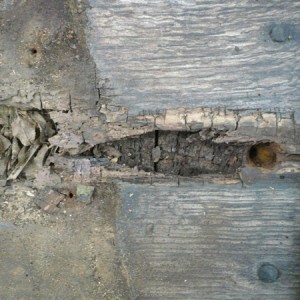 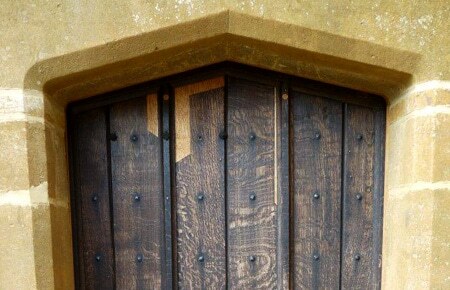 Once this had cured, quarter sawn oak was selected for patching and repairs were made. 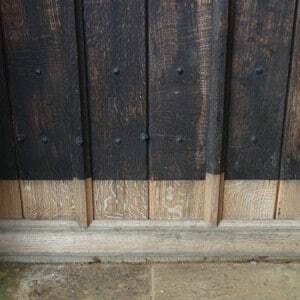 A new weather strip was made because the original door never had one which was the predominant cause of the rot on the bottom of the door. 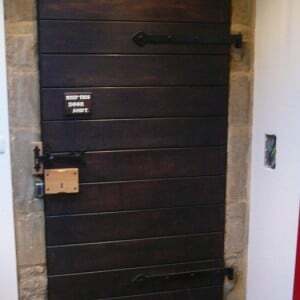 We cast new door furniture from existing models in the house and replaced all of the missing hand cut nails with examples sourced from Scotland. 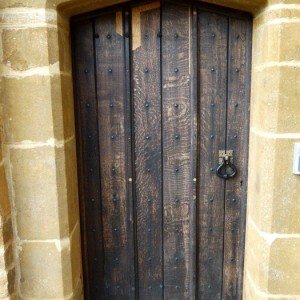 Finally the door was oiled.